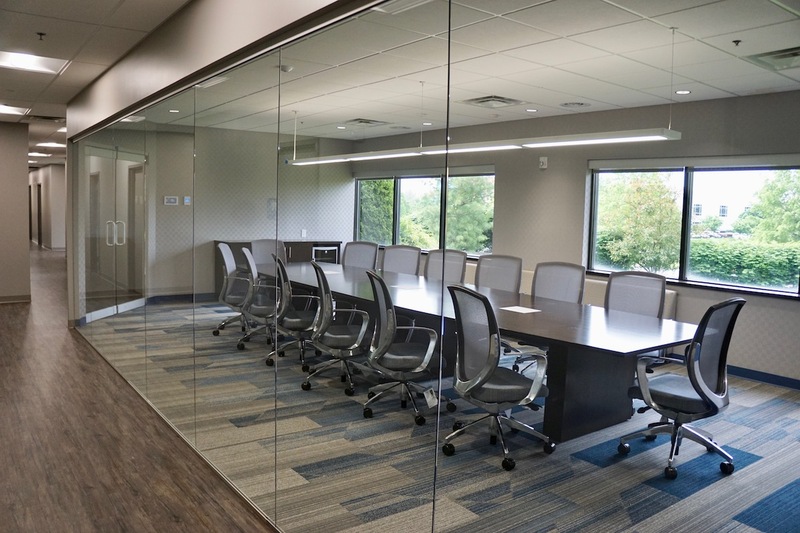 Excel Services, Inc. is an electrical contracting company that relocated to Eastpoint Business Center in Louisville, Kentucky. 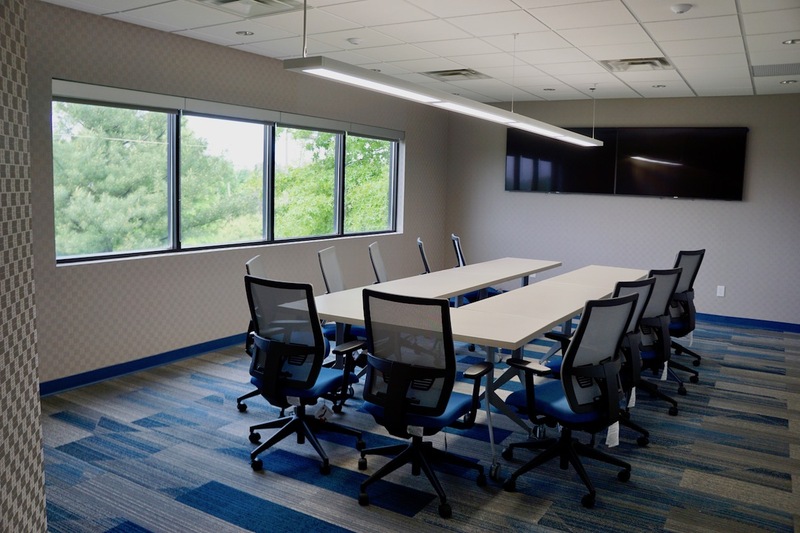 Excel Services new space was featured in Louisville’s Business First and was on the 2016 Inc. 5000 listing of America’s fastest growing companies. 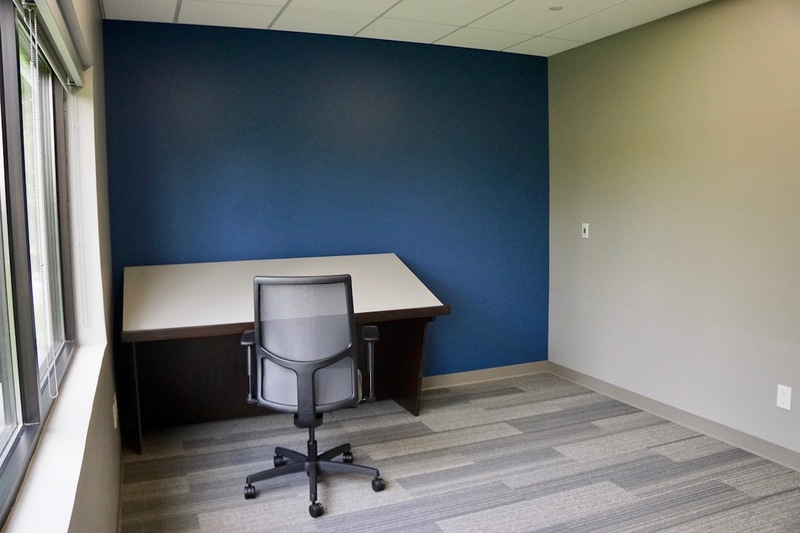 Potter & Associates Architects renovated the space to accommodate Excel’s fast-growing company. 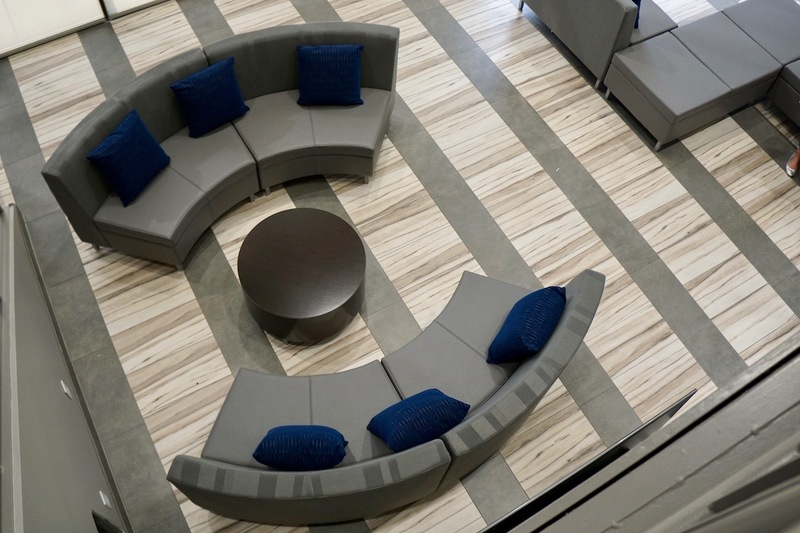 The new space includes a welcoming grand lobby, new offices, corporate training, conference, break rooms, and state of art lighting and technology. All furnishings were selected to complement the interior finishes and complete the space. Along with the interior design, we provided furniture selection for competitive bidding as well as coordination of all furniture and finish selections.